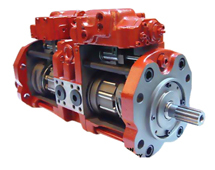 Axial piston unit of bent axis design with fixed displacement, for use as either pump or motor in hydrostatic drives, in open or closed circuit. 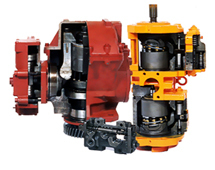 If operated as a pump, the flow is proportional to the drive speed and displacement. If operated as a motor, the output speed is proportional to the swept volume and inversely proportional to displacement. 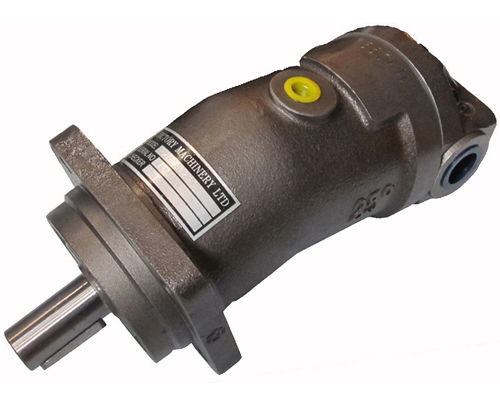 The output torque increases with the pressure drop between the high and low pressure sides. • Equivalent with original Rexroth same model. • High performance rotary group with well-proven spherical control area with the advantages, self-centering low peripheral speed, high efficiency. 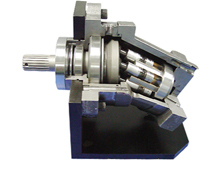 • Robust rolling bearing endure long service life. 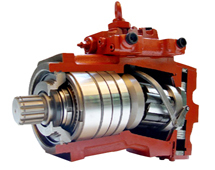 • Drive shaft capable of adopting radial loading. Before starting project planning, please refer to our data sheets RE 90220 (mineral oil), RE 90221 (environmentally acceptable hydraulic fluids) and RE 90223 (HF hydraulic fluids) for detailed information regarding the choice of hydraulic fluid and application conditions. The fixed pump A2F is unsuitable for operation with HFA. If HFB, HFC and HFD or environmentally acceptable hydraulic fluids are being used, the limitations regarding technical data and seals mentioned in RE 90221 and RE 90223 must be observed. The correct choice of hydraulic fluid requires knowledge of the operating temperature in relation to the ambient temperature: in an open circuit the tank temperature. The hydraulic fluid should be chosen so that the operating viscosity in the operating temperature range is within the optimum range (νopt.) - the shaded area of the selection diagram. We recommended that the higher viscosity class be selected in each case. Example: At an ambient temperature of X°F (X°C) an operating temperature of 140°F (60°C) is set. In the optimum operating viscosity range (νopt; shaded area) this corresponds to the viscosity classes VG 46 or VG 68; to be selected: VG 68. Please note: The case drain temperature, which is affected by pressure and speed, is always higher than the tank temperature. At no point in the system may the temperature be higher than 240°C (115°C) for sizes 5 to 200 or 195°F (90°C) for sizes 250 to 500. If the above conditions cannot be maintained due to extreme operating parameters, we recommend flushing the case at port U (size 250 to 500). For long service life and use with HF hydraulic fluids same external dimensions as pump with standard bearing. A long-life bearing can be specified. Flushing of bearing and case via port U recommended. The service life of the shaft seal ring is affected by the speed of the pump and the case drain pressure. It is recommended that the average, continuous case drain pressure at operating temperature 45 psi (3 bar) absolute not be exceeded (max. permissible case drain pressure to 90 psi (6 bar) absolute at reduced speed). 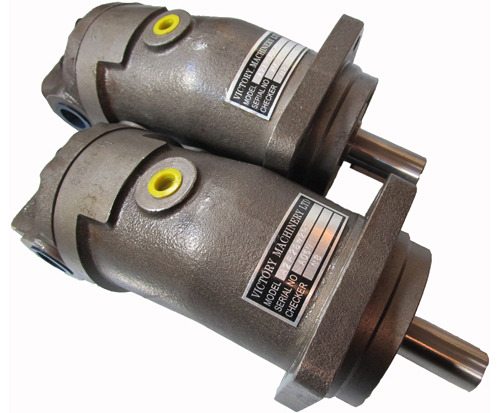 Short-term (t < 0.1 s) pressure spikes of up to 145 psi (10 bar) absolute are permitted. The service life of the shaft seal ring decreases with an increase in the frequency of pressure spikes. The case pressure must be equal to or greater than the external pressure on the shaft seal ring.